Doctors’ offices and other medical practices are busy places and it may take quite a bit of effort to consider a medical marketing company to enhance their influence. As a company for SEO Tampa, Orlando, Fort Lauderdale, and Miami businesses trust, we at MyCity Social know the kind of impact that having digital marketing and SEO can have on a medical practice. Doctors and other medical personnel are often surprised how much of their patients find out about their services from their digital presence. The truth of the matter is that the digital presence that the medical industry puts out for themselves has a significant influence on the number of patients that walk through their doors. Thankfully, we at MyCity Social know how to make sure that your business and practice is prepared for this. If you would like to learn more about how we can help you, do not hesitate to contact us today. 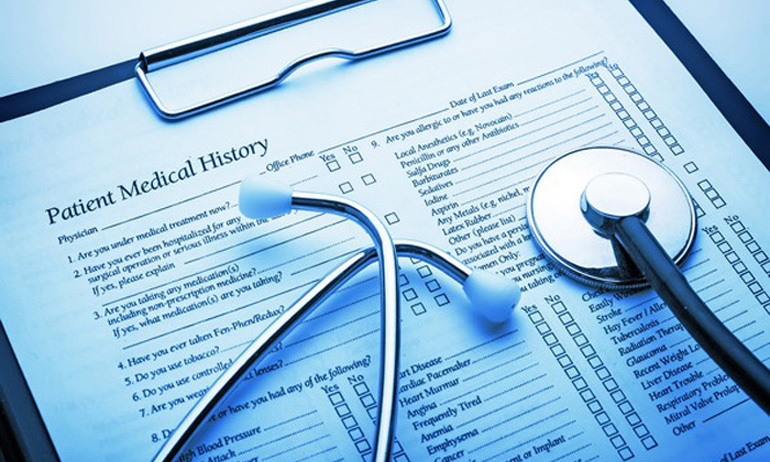 Why Do You Need a Medical Marketing Company? Doctors are more than businessmen. While any business is difficult to run, doctors must run a business wherein there are a number of moving parts at any given moment on top of seeing patients. This can leave very little time for a doctor to even begin considering how they are going to present themselves online but this can be one of the most critical parts of their job. Without a digital presence and a way to attract patients, doctors can open their doors and find no one is actually coming through them. With the right medical marketing company, you can begin creating different components on social media that will make you seem more approachable and trustworthy to potential patients. After all, many patients will be hesitant to trust a doctor they do not have any information for. Even if you have been in the field for decades, no one is going to know that if you do not publicize it on your website and on your social media profiles. Social media marketing can also help to let your patients know right away what insurances you accept. It also gives them an understanding of what your patients can expect when they come to your office. For instance, if your social media presence is bright, bold, and colorful, that will draw the attention and trust of parents with children so these are typically better suited for pediatric offices. Because we have worked with a variety of medical offices in the past, we know exactly what styles are best suited for each type of office and can craft your social media utilizing that information. This, however, is not the extent of the services that could benefit you as a business owner. When you have all of these different profiles existing on the internet, this can cause you to have an issue trying to keep up with all the various interactions and requests to communicate you will receive. Your devoted digital marketer can respond to all of these interactions for you so that you do not worry. They will be able to maintain all of your social media. There are a number of services that we offer for those medical offices who would like to invest in digital marketing. We offer social media management, email campaigns, review builder, search engine optimization, reputation management, and more. Many parts of our services are part of inclusive packages so that you can get the most for your money when you invest in our services. With social media management, we take control of all your social media pages such as any pages on Facebook, Instagram, and Google My Business. We can then post on these platforms and engage with your audiences to draw in more patients to your practice and to enhance your credibility. With email campaigns, we make newsletters that are customized to your business and utilize the latest news of your company to draw attention to the things that are important to you. With review builder, we use tried and true strategies to get you more positive reviews on your Google My Business page. With reputation management, we respond to the negative reviews that you get and make sure that you appear responsive and interested in the suggestions and criticisms. Search engine optimization is something else entirely. It is equally important as digital marketing, but it tackles something very different. While digital marketing deals primarily with getting attention for your practice through the social media and email routes, search engine optimization—or SEO—deals with your website and how to best optimize it so that Google understands both your business and your location. From there, you can also use SEO to gain credibility and end up higher in the search results when people search for the services that you offer. It is a very delicate process and it can take months to see results. However, once you do work at it for some time, you will begin to see your name rise up the results for the keywords you are searching for. MyCity Social is a company for SEO Tampa, Fort Lauderdale, Miami, and Orlando businesses trust. We know what it takes to provide high-quality digital marketing and SEO services. Do not just trust any SEO Tampa, Fort Lauderdale, and Orlando may have to offer. Turn to MyCity Social instead and begin to see a real difference. You will notice your practice flourish before your very eyes and you will have a difficult time ever going back. Because we know what it takes to start a small business, we make sure that you have the opportunity to succeed. If you are interested in learning more about our services or you have questions about how to get started with your own personal digital marketer, feel free to contact us. We know what it takes to satisfy even the pickiest clients. Contact us at MyCity Social today or visit our website.